Cars 3 Lightning Mcqueen. Bubble padded as needed. I also have limited supplies of special boxes with Cars Graphics on them that will hold different amounts of cars. Disney Cars 3. Lightning McQueen. These are genuine toys. All characters are individually wrapped in clear bags and sealed together in a clear OPP/CPP bag. Toys may have slight imperfections but doesn't affect overall appearance. Bubble padded as needed. I also have limited supplies of special boxes with Cars Graphics on them that will hold different amounts of cars. Material：PVC. Notice ： Pls be noticed the color may vary from the picture. Condition： New! 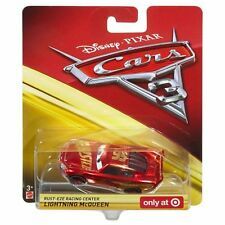 DISNEY PIXAR CARS 3 PRIMER LIGHTNING MCQUEEN RADIATOR SPRINGS DIECAST NEW GRAY. Condition is New. Mint on card Shipped with USPS First Class Package. We buy Disney Cars collections! If you are unsure just ask. Fun Disney Cars & Planes to add to your set! CARS 3 LIGHTNING MCQUEEN 2017. 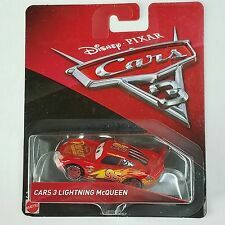 DISNEY PIXAR CARS 3 WITH CARD. I check it often and will get back to you as quickly as possible. Disney Cars 3 Fabulous Lightning Mcqueen and Cars 3 version of Lightning Mcqueen. I also have limited supplies of special boxes with Cars Graphics on them that will hold different amounts of cars. Cars 3 Mater. Disney Pixar Cars. I check it often and will get back to you as quickly as possible. Cruisin' Lightning McQueen. Disney Pixar Cars. Mini Racers, Die Cast. 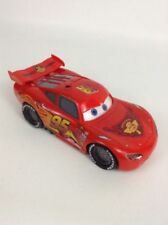 disney pixar cars diecast Radiator Springs Lightning Mcqueen. Condition is New mint on card . Shipped with USPS First Class Package. "EDWIN KRANKS". Disney Pixar Cars Presents. 1X Cars1 McQueen. 1X Mack Truck. We believe communication will fix problems. The wheels are moving. Color: Red. The combine rate will automatically be applied where applicable. 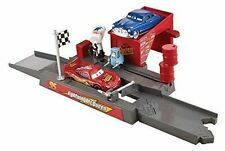 3 Lightning McQueen cars brand new in their boxes. Dirt Track McQueen, Smell Swell McQueen, and Dinoco Blue McQueen. These are authentic and ship from the US unlike most unauthorized versions on ebay shipping from China. I took a set out of the boxes for a picture but the ones shipped will be unopened and sealed. LIGHTNING MCQUEEN AS CHESTER THUNDER HOLLOW 2019. DISNEY PIXAR CARS. I check it often and will get back to you as quickly as possible. 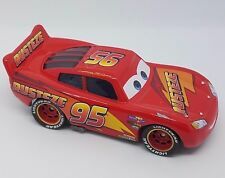 Up for sale is Lightning Mcqueen from the Disney/Pixar movie Cars. We buy Disney Cars collections! If you are unsure just ask. Buy more than 1 item and get 5% off of your item total. 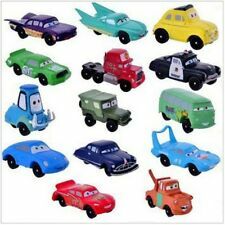 DISNEY PIXAR CARS DIE CAST MINI RACERS. I check it often and will get back to you as quickly as possible. NO EXCEPTIONS. I don't have anything that's MINT. If you want a MINT item,i don't have it.Sorry. Luigi Guido packing error. RARE find one of a kind collectors item. Ships out the day of payment. Free combined shipping with other items. Shipping price is for continental US only, extra postage may be required outside the US. 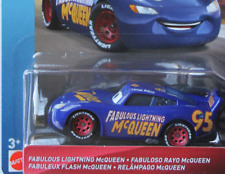 Lightning McQueen with Racing Wheels WGP GPM. Disney Pixar Cars 3. I check it often and will get back to you as quickly as possible. 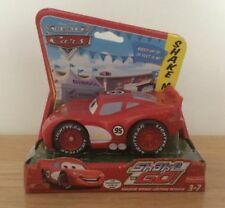 We buy Disney Cars collections! If you are unsure just ask. Buy more than 1 item and get 5% off of your item total. Brand new in original sealed box. Really cool car! When it hits something hard enough, the doors and hood pop off! Easily pop back on and are held by a fishing line to car so you wont lose them. Has forward and reverse with turn in reverse. Fast and free shipping!